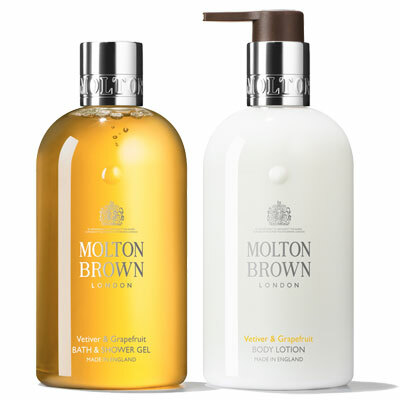 Vetiver and Grapefruit by Molton Brown - A subtle citrus scent with warm vetiver. 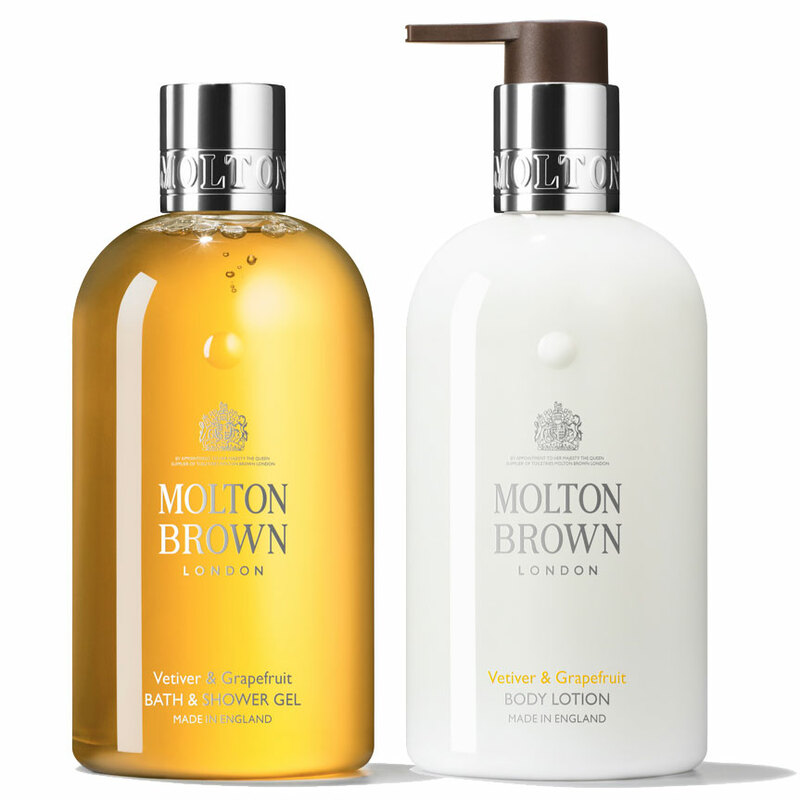 The fragrance contradiction of bright and warmth for "an innovative reconstruction of a classic cologne." Created by fragrance expert, Virginie Daniau, the latest bath and body scent includes notes of grapefruit, cardamom, neroli, rose, amber, and vetiver. Available in scented body lotion, and bath & shower gel. The warm exhalation of the hillside after fresh dawn rain. Earthy vetiver rooted deep in newly tilled loam. A shifting, asymmetric tonic of piercing grapefruit, spice and resin pulses from the woods. Construct an alchemy of nature's fragrant contradictions. Reinvigorating. Debonair. Timeless. "The warm sophistication of Haitian vetiver conflicts with the cool, tonic freshness of grapefruit, resulting in a tense union… vetiver oil reveals subtle grapefruit undertones - just enough to relieve this tension and convey a sense of effortless elegance."